Safe amalgam removals are not enough – your body needs help, mopping up highly toxic mercury residue. Amalgams emit mercury vapour which passes readily across the blood-brain barrier and into the central nervous system. Every time you drink liquids or chew food, tiny bits of mercury are released into your system. Mercury shuts off the ability of your liver and kidneys to move heavy metals into your gut for elimination, causing it to build up. 5-year old fillings have been shown to contain only 28% mercury as compared to 50% when they were placed, showing that half the original mercury has been released into your body. Scientific research shows that certain bacteria in the mouth and intestines convert mercury into methylmercury, a substance 100 times more poisonous than ordinary, already toxic mercury. Various types of silver fillings are now banned in many countries, such as Sweden, Germany & Japan. Highly acclaimed dental schools in Switzerland and the Netherlands have now eliminated the teaching of silver filling placement. Amalgam doesn’t just affect you … mercury has devastating reproductive effects. Mercury levels in newborns are directly related to the number of amalgam fillings in the mother’s mouth. In fact, a baby protects her mother from mercury at her expense. The concentration of mercury in the blood of the newborn is an average of 28% higher than the mother’s blood. Birth defects have been found to be related to mercury exposure. So, the simple solution is to get silver fillings removed, right? Not quite. Unfortunately, drilling mercury out unavoidably causes a short-term high exposure to mercury vapour mists which can further invade your system. However, this mercury exposure can be drastically minimised by making sure that your dentist follows a careful removal procedure. Steps include the use of a rubber dam and advanced dental equipment (including high-speed suction, Mass Air Vacuum & Filtration System, air purification unit, nasal oxygen nosepiece and brand-new drill bits). You should also be offered purified water as well as digital x-rays with full x-ray protection. The safest dental anaesthetic is Septocaine. All dentistry should be done at least 5 months before conception to minimise the impact of the chemicals used on the unborn child. This should be followed by detoxification in the 4-month window after dental work and before conception to support a healthy pregnancy & baby. No dentistry, and definitely no amalgam removals during pregnancy or while breastfeeding. Your fillings are out, but the battle isn't over. It’s not enough to remove toxic fillings! Leached mercury and vapour mist from an amalgam removal is cumulative in the body and remains. Therefore, a silver filling removal should go hand in hand with a thorough mercury detoxification programme. Patients with all sorts of chronic illnesses have had dramatic recoveries after such a detox. Why? Mercury suppresses the immune system. Therefore, clearing mercury from the body can help enhance the immune system so the body can heal itself. Special nutritional supplements can dramatically reduce and protect you from absorbing toxic materials as well as help support and balance your organs and glands. Give Me Life offers an effective mercury detox programme. As a Clinical Nutritionist, I offer a mercury detoxification programme to help clear your body from toxic overload. This programme offers you the right types and amounts of nutrients your body needs to gently detox chronic accumulations of heavy metals. I will explain your mercury detox in a 30-minute appointment and also take into consideration your current health, ability to detoxify, and medications and supplements you’re already taking. This is not a one-size-fits-all approach! What is used in a heavy metal detoxification? One key nutrient I use is chlorella. It’s the safest, most effective heavy metal detoxifier. Prescription drugs used in heavy metal detoxification cause the metals to be mainly eliminated through the bowels, which carries the risk of reabsorption and thus incomplete detoxification and methylation of mercury by the intestinal flora. This process, in turn, renders the mercury far more toxic. I combine detoxifying chlorella with bentonite clay. The latter is used to collect any mercury which has made it into the digestive tract and then holds onto it so it is NOT reabsorbed back into the body. Other key support nutrients I work with are a range of high-quality minerals and herbs* to support liver detoxification. *I work in conjunction with an experienced herbalist. How long does a mercury detox programme take? I recommend starting your heavy metal detox 2 weeks prior to your safe amalgam removal, and then continuing during and 2 to 4 weeks after the procedure. 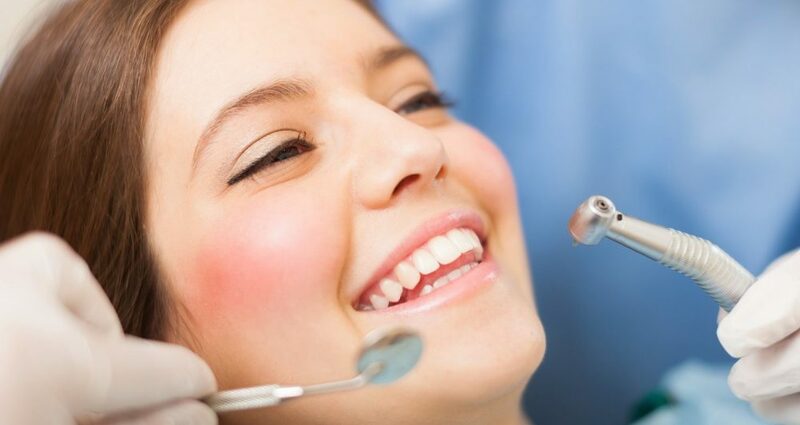 Therefore, it is important for you to book your appointment at least 3 weeks prior to your silver fillings removal. Your diet plays an all-important role in supporting your body’s detox system. Therefore, it makes sense to optimise your diet in a pre-detoxification phase for about 2 to 6 weeks before starting your heavy metal detox programme. The main goal is to avoid inflammatory and allergenic foods. This includes sugar, processed foods, fast food and a range of starches and grains. In my capacity as a Clinical Nutritionist and QRA practitioner, I can help you to create an individualised plan of attack.